Browse : Home SEO Smart Keyword Targeting – What Is The Key To Increased Traffic And Revenue? Smart Keyword Targeting – What Is The Key To Increased Traffic And Revenue? Your aim shouldn’t be to target everything when it comes to keywords. Rather, you should always aim to discover where the richest vein lies and then focus all your efforts on extracting it. It is only by identifying your areas of growth potential that you can easily transform a website into a traffic machine with high revenue potential. According to your e-commerce business clients, you have to start analyzing your market and then implement your growth plan in some selected areas with high potential of traffic. With a simple optimization system, it is possible to boost sales and traffic. In fact, the key to success is knowing where your biggest traffic is lying hidden and then uncovering them. Gathering, prioritizing and acting are the 3 steps that involves increasing revenue and traffic. Initially, you need to know what exactly your audience is looking for. 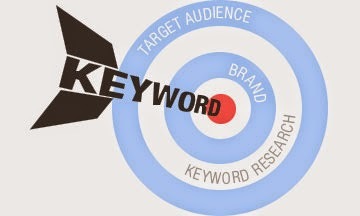 Which keywords are the users typing in Google search for obtaining your business and products? What is their intent while searching? Are they trying to place an order right away? Are they trying to learn more about your product? Or are they comparing your product against that of others? Next you should check what you’re offering them. Are you focusing on the right keywords? Your initial goal should be to come up with the 40 top most famous keywords that have high search volume and that have the capacity to generate revenue. Before running a growth analysis, you can use some tools like Google Analytics, Google Webmaster Tools, Google AdWords and Google Keyword Planner to have a meaty dataset to study. Now that you’ve finally built up the big list of keywords that are related to your site, it’s high time that you pare it down to those that have the greatest potential to grow your revenue and traffic. From there you can easily expand the list to include some common variations of the high-value keywords. Remember that long-tail keywords are especially interesting since they have the potential to quickly rake in more revenue as they have generally low competition and target visitors who are ready to convert. You can use tools like keywordtool.io, Google Correlate and Merge Words. From here, you should start taking the required actions. The preparatory steps should ensure that your actions will focus on those areas of highest ROI. Content marketing, topic marketing, positioning as a typical expert, personalization, retargeting and niche specialization are some of the several steps in the action plan that you need to take to dominate the SERPs in each category. By focusing on high search volume keywords, you can naturally bring in more visitors and you will also see your rankings improve. Focusing on long-tail keywords will also deliver better prospects. SEO analysts and experts are always surprised at how tough most e-commerce web store owners make this process easier. With proper keyword research, analysis and targeting, you can also enjoy revenue boosts and traffic.